Do you know your genetics like the back of your hand? Here’s your chance to experimentally prove it. 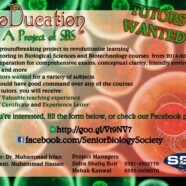 SBS is going to launch its BioDucation project this year–and we’re looking for tutors in Biological Sciences and Biotechnology courses. 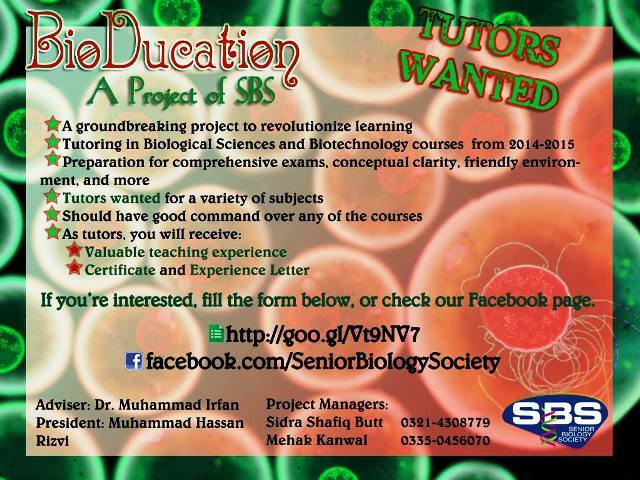 Tutorship with BioDucation is a privileged opportunity to garner teaching experience. At the end of term, tutors will be awarded certificates and experience letters for their integral role in this project. If you’re interested in applying, fill out our application form by clicking here.